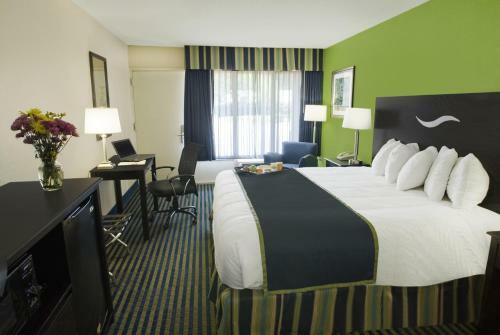 Rooms from $43.20 per night. Description This Richmond Hill, Georgia hotel has an outdoor pool, free internet access, non-smoking guest rooms and free breakfast. This hotel is also pet friendly. 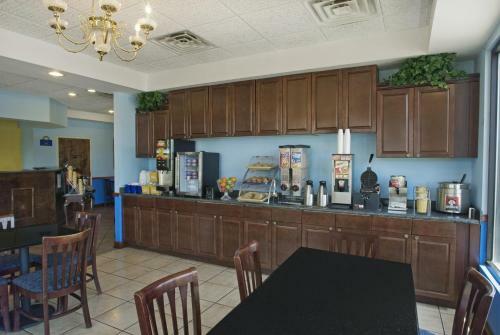 Free Wi-Fi free parking a seasonal outdoor pool plus an on-site restaurant are some of the features offered by the Days Inn Richmond Hill/Savannah. This two-story hotel has 112 rooms some of which are designated non-smoking. 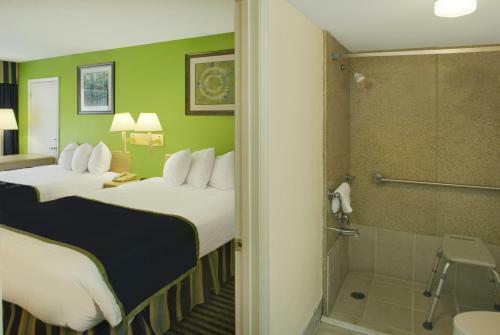 Each room accessed via an exterior corridor includes free Wi-Fi cable TV with premium channels a microwave refrigerator coffeemaker seating area and desk. Guests can go for a swim in the seasonal outdoor pool. There is a 24-hour restaurant located on the hotel property. The hotel also offers barbecue facilities. Business travelers can make use of the photocopy center. Pets are allowed. Parking is free. 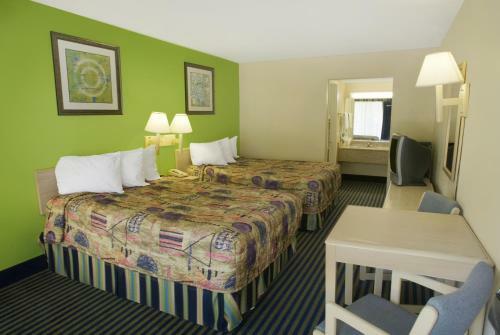 The Days Inn is located off I-95 one mile from Fort Stewart. Ships of the Sea Maritime Museum is 19 miles away while downtown Savannah is 20 miles. The Savannah/Hilton Head International Airport is 17 miles north. 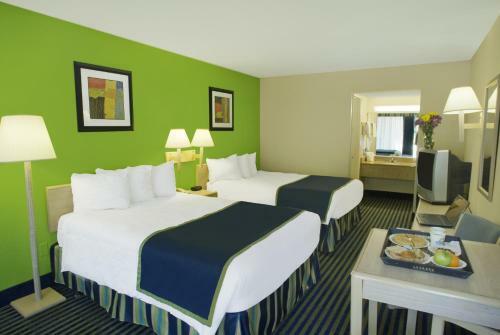 Add Days Inn By Wyndham Richmond Hill/savannah to your free online travel itinerary.